Hi Guys! Hope you are doing well. I am back to give you a dose of valuable information as per your needs and demands. 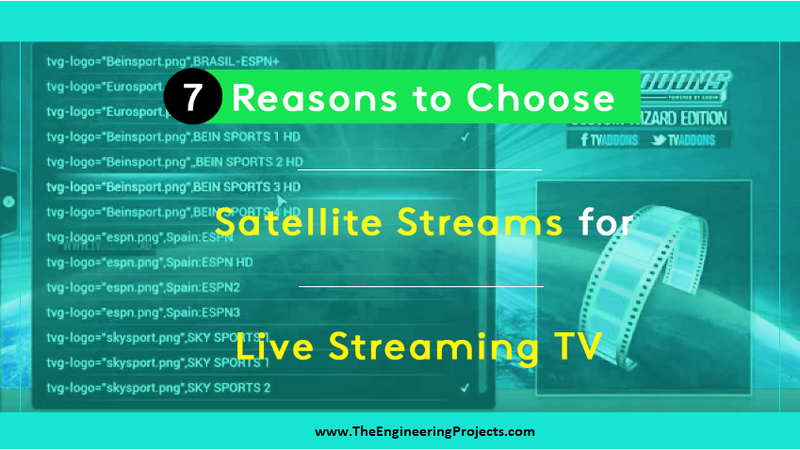 Today, I’ll highlight the 7 Reasons to Choose Satellite Streams for Live Streaming TV. Let’s dive in. Streaming services have provided millions of people around the globe with incredible opportunities for home entertainment. Gone are the days that you had to rely on a cable or satellite TV provider for your entertainment needs, not the mention the high setup fees and subscriptions, hardware installations, etc. With the advent of the internet, as well as advancements in streaming technology, the world now has a plethora of options to catch their favorite shows and get entertained on the go. Though there is a myriad of ways to stream live television, using Satellite Streams has proven to be the most affordable and hassle-free way to enjoy the best of online television. This is a relatively new service that is redefining how online streaming works and bringing together a whole new experience as far watching TV over the internet is concerned. Here are a few compelling reasons why you should think about Satellite Streams every time you want to watch free live TV on your computer or mobile device. Rarely do you find a streaming service available for completely free and shows no ads. In most cases, if the service is free, then you can bet that your viewing experience will be interrupted from time to time with ads. However, this is not the case with Satellite Streams. It is completely free with no ads, and this is one of the attributes that sets it apart for similar services on the internet. As such, you are guaranteed of enjoying your live stream for the entire duration without an ad popping up to disrupt you. When Satellite Streams claims to be free, it is truly free – you don’t even need to register in order to access the shows you desire to watch. Similar services, including those that are free but show ads, will always require you to create an account before you can access their content. Once you create the account, your inbox will begin to get flooded with all manner of marketing emails. But if you don’t desire to have such a hassle, then you have every reason to consider Satellite Streams for your live streaming needs. With this, all you need to do is open up the website on your browser and start enjoying your viewing. You don’t have to bother with feeling any forms, giving out your email or any other personal detail in the name of registration. You will notice that most of the live streaming services are locked to certain geographical locations. It means that if you are in a place or a region where the service is blocked, you will not be able to access the content unless you use a workaround such as using a VPN. A good example is live streaming by most of the major television network such as CNBC or Fox News Live. With such, you will have to be in certain locations or territories of the United States and you will also need to have an active subscription in order to access the live streams. But the good news with Satellite Streams is that it is not restricted to any geo-location and irrespective of your current location on the surface of the earth, you will still manage to access its content. All you need is access to the internet and you will be good to go. As is always the case, when a service is free, you will expect the quality to be below average. But this is another sector where Satellite Streams completely outshines its competitors. The fact that it is free does not stop them from bringing the absolute best in terms of picture and audio quality. It will interest you to note that the streams you get from Satellite Streams are in full HD broadcasting, with the picture quality of up to 1080p. The sound is also crisp clear and since there is no signal drop-off, you are guaranteed of a quality experience, even when watching the high definition television channels available on the site. With most of the streaming services available in the market today, there will always need to have an additional streaming device, which will then be connected to your TV set for you to start streaming. In most cases, the streaming device will come at a cost. However, you don’t have to worry about any extra hardware when you use Satellite Streams for your live TV streaming needs. You don’t even need to think about satellite dishes or antennas to help you get a clear reception. So long as you have a decent internet connection, nothing will come in your way of enjoying your favorite live streams from the site. One thing you will find admirable about Satellite Streams is that it is literally a one-stop-shop for all your live streaming needs. You will find superior quality channels with a variety of streaming options with just one click of your mouse. Irrespective of your live streaming needs, you can rest assured that you will find more than you need with this service. Whether your interest lies in sports, cars shows, live news events, documentaries, home shopping or home entertainment, Satellite Streams always has something for everyone. Just learn how to navigate your way through the interface and you will discover how easy it is to find and locate quality live streams from the site. The flexibility that Satellite Streams offers in terms of the number of devices or gadgets you can use to access your live streams is also something worth taking note of. If you have been a subscriber of on-demand streaming services such as Hulu or Netflix, then you know that at any given time, there is a limited number of devices you can use to access the service under the same account. This is usually limiting, especially when family members want to watch different shows that coincide at the same time. With Satellite Streams, however, this is of no concern at all since you are free to get the streams on multiple devices at the same time. Whether you want to watch on your laptop or you want to catch up with the live news events on your Smartphone on your way after work, you have the flexibility you need to enjoy just as much as you want. Hopefully, you now understand why Satellite Streams is such an interesting service, especially during a period when TV subscription fees tend to be going through the roof. 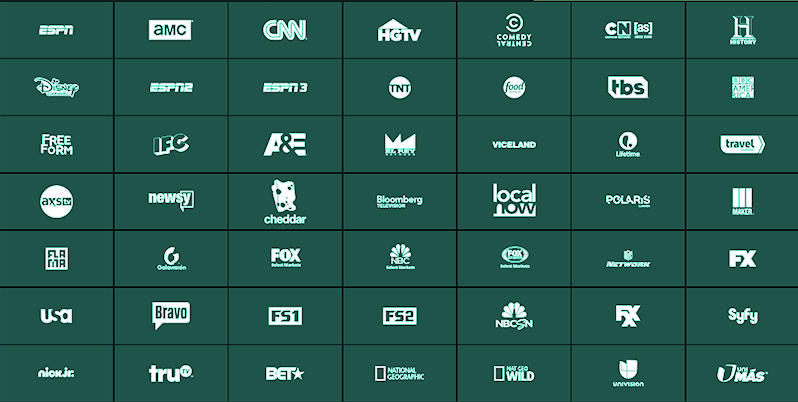 It has presented an awesome alternative to most of the streaming services, and unless you like binge-watching or following up on shows available on select networks or services, you will always have more than you need with Satellite Streams. Given that it is a free service which avails so much, it is your time to enjoy while it still lasts. 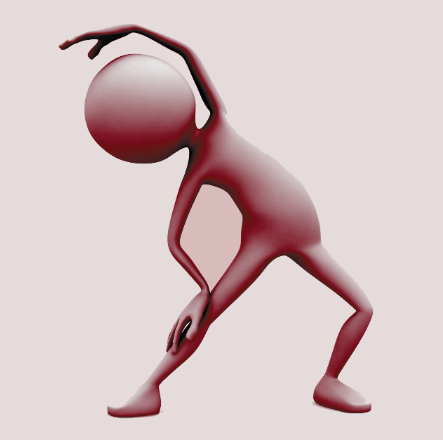 Perhaps, the only challenge you may face is with the internet connections since you may not get a very good experience if you have a weak link. Additionally, we don’t know when the service will start asking for subscriptions, but for now, you can enjoy the live streams without a worry in the world. That’s all for today. I hope you have found this article useful. You are most welcome to approach in the comment section below for any query. Thanks for reading the article. The world is developing now and people start avoiding cable network. Also, the cable network is too slow while compared with the satellite network. While using cable network people can stream videos only from home. But when it comes to satellite network they can watch anywhere anytime. I want to steam my video with satellite Network to 5 location at a time. Please tell me how its possible. If its possible which equipment required.